Despite my unending sugar addiction, I can resist a whole lot of cookies. Snickerdoodles? Mildly interested shrug. Anything with mint? Keep trying. Peanut butter cookies? Now you’ve got my attention. 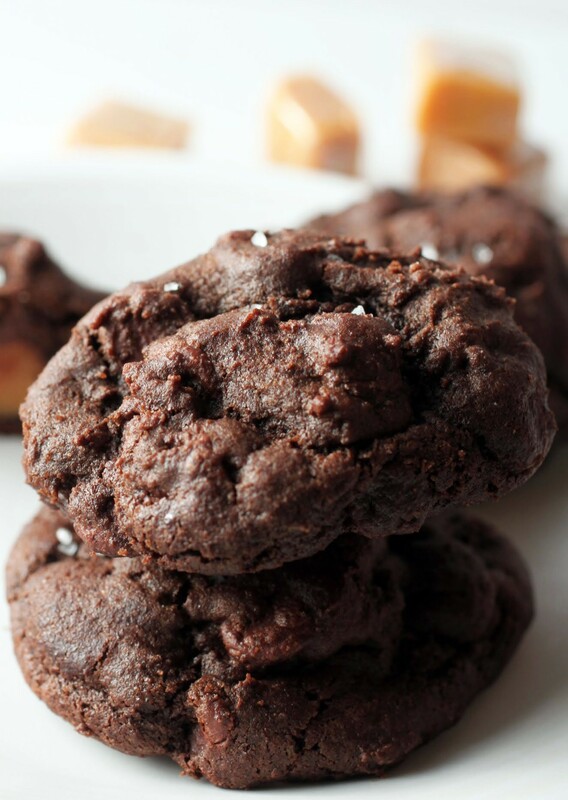 And…chocolate chip cookies? Forget about it. I’ll eat the whole batch before anyone can blink. Somehow, incorporating chocolate chip cookie into a baked good is a process fraught with nothing but sheer joy. 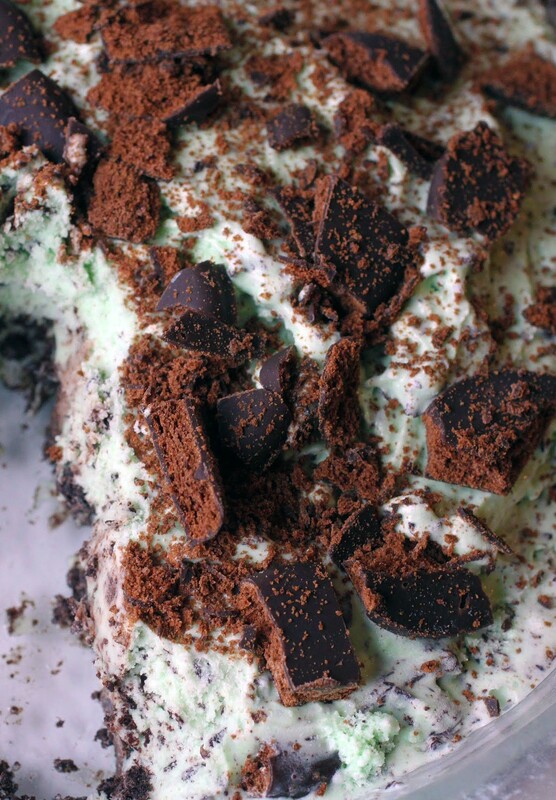 Chocolate chip cookie cakes, for example, are a heavenly birthday treat. Chocolate chip cookie pie is just…well, let’s just say that if you haven’t tried it, you need to. Recently, I made a batch of chocolate chip cookies because…oh, come on. Who really needs to ask why? But anyway, I was on my third cookie when inspiration struck. You see, sitting a few feet away from me on the counter was the remains of my lunch in a candy store bag, a store that happens to specialize in selling fudge at beaches in the summertime. 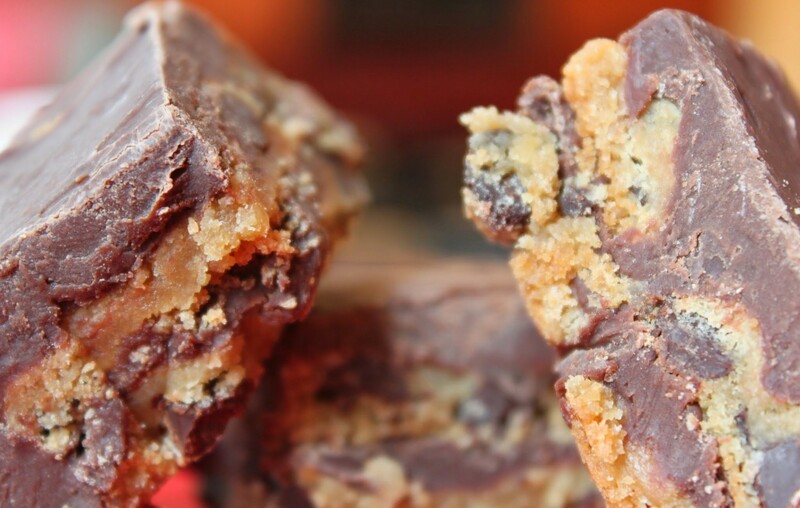 I suddenly realized that combining fudge with chocolate chip cookies could be insanity. Life-changing, in the best way possible. And out of my epiphany, chocolate chip cookie fudge was born. It’s creamy. It’s intense. And it’s not at all hard to make. For a while, I’ve been a big fan of making fudge in the microwave. I almost never use the microwave. We get along, but we’re not besties. When it comes to melting chocolate, though, using the microwave is ideal. Once your fudge base is made, you can play with it however you want. I like to put in crumbled Oreos, or nuts, or marshmallows, or peanut butter cups. You get the idea. It’s the easiest thing in the world, and everyone thinks you spent forever making it. One little caveat: don’t overchill the fudge. If you let it sit in the fridge for too long, it gets hard. You want it to chill for one to two hours, testing it lightly with a finger to see if it’s hardened. Once the fudge is solid, take it out and cut it up. 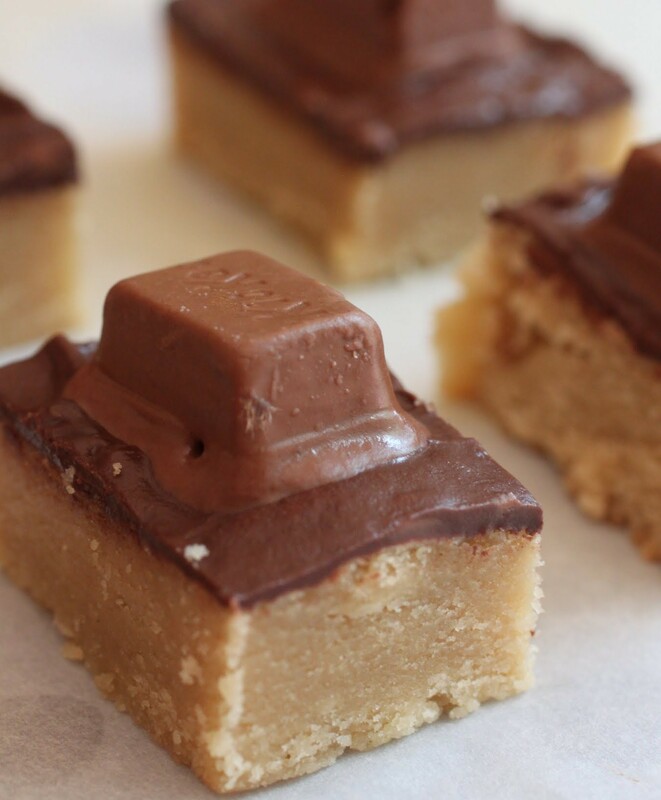 For this recipe, use your fudge base wisely. 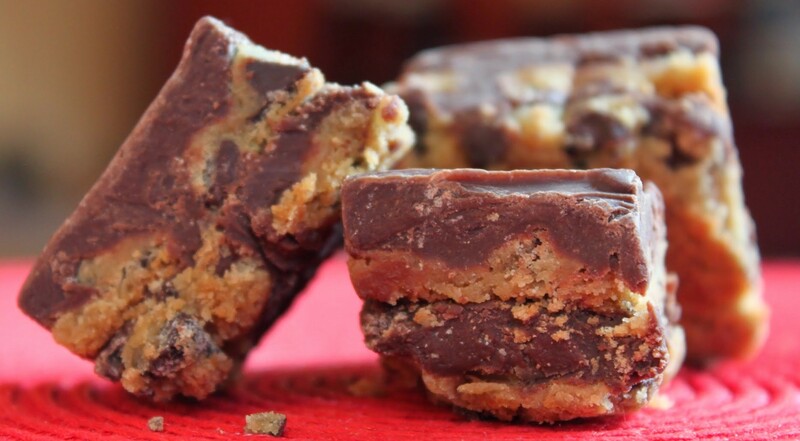 Put down a layer of chocolate chip cookies, carefully spread half of your fudge over the cookies, and then repeat that process one more time. 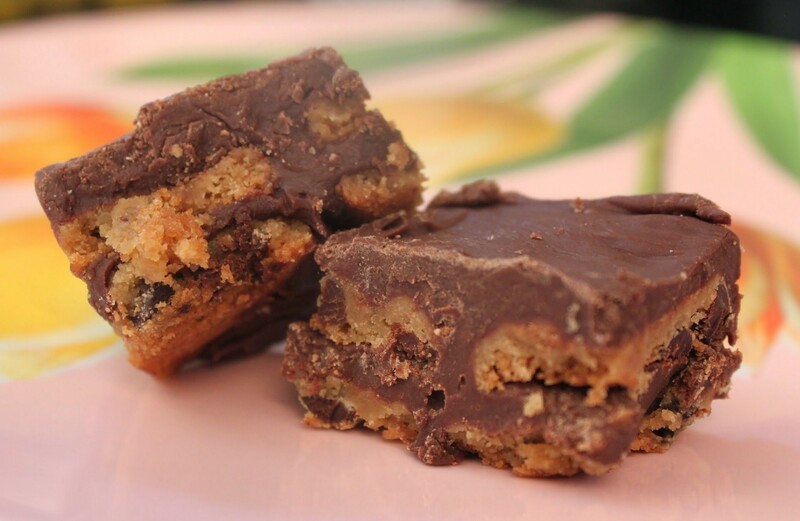 The idea is to have some fudge and cookie in every bite. I guarantee that this will go fast. It goes particularly well with a soothing cup of tea and a blanket. But in a few months, change that hot tea to a lemonade and the blanket to a beach towel. 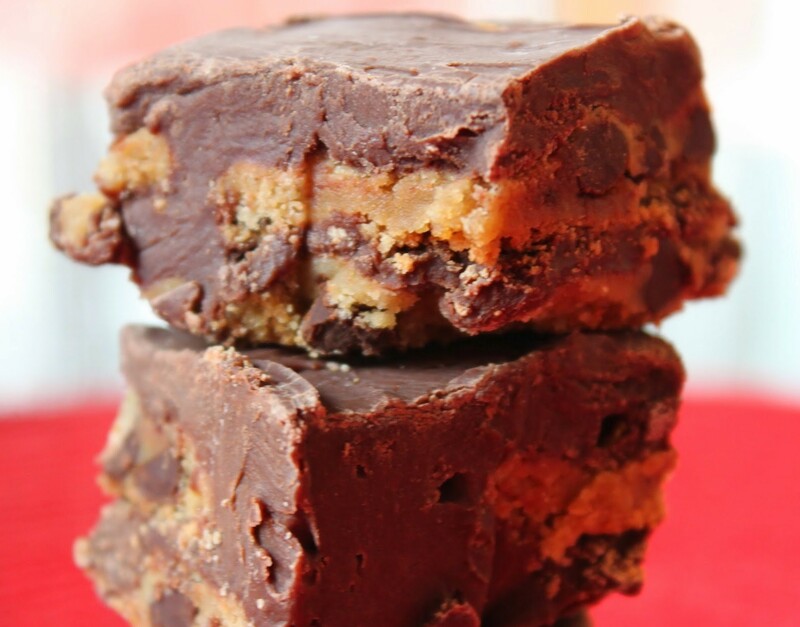 Fudge is great beach food. Bake the batch of cookie dough according to package directions and allow to cool. Put the chocolate chips and the condensed milk in a microwave-safe bowl. Microwave for two minutes, stir, and then microwave again in 30-second intervals, stirring thoroughly after each round until everything is melted and smooth. Be careful not to burn the chocolate. Add the vanilla to the chocolate mixture and mix thoroughly. Spray an 8 x 8 pan with cooking spray. Starting with the cookies, alternate two layers of chocolate chip cookies and fudge, spreading the fudge carefully over the cookie layers to the edges of the pan. Put the pan in the refrigerator and chill for 1-2 hours, removing once the fudge is firm. Cut into small squares. Go crazy!